This mineral depending on the terms of formation can form crystals long more than 1 m. This enough widespread phosphate is presented the crystals of prismatic form with wonderful cleavage. 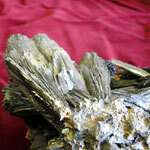 They often round-off or sharp form; sizes are giant (crystals arrive at a 1 m). There are plate tablet lamellar individuals, sometimes incorporated in star-shaped, stellar, stellate aggregates. Powdery raids are also widespread, inclusion, rounded concretion in clays. Chemical composition (chemistry, compound)-maintenance (in %): FEO - 43; P2O3- 28,3; N2o - 28,7; varieties: partly oxidized with Fe2+ and Fe3+ - b -kertschenite, with predominance of Fe3+ - a-kertschenite, fully oxidized without Fe2+ - oxy-kertschenite; enriched Mn, Mg and Sa - paravivianite. Glance (glitter, glare) - glassy to mother-of-pearl on the planes of cleavage. Prismatic type of symmetry. Cleavage - perfect absolute to on (010). 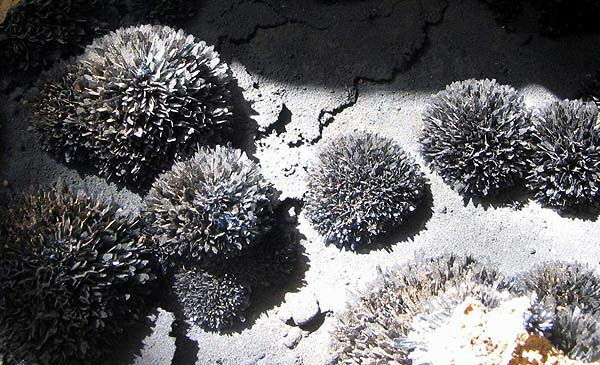 Dlinno-stolbchatye crystals, more frequent than all growings; usually in radiant, fibred aggregates, wall outlets, balls and buds, and also plate tablet lamellar (state of Colorado, USA); often loose and earthy (dark blue ferrous earth). Cleavage perfect absolute, gypsum-like; closeness 2,6-2,7; in the fresh type of colourless, under influence of oxygen of air crystals at once are painted in light-blue, dark blue, dark blue or black color; the bivalent iron contained in a crystalline lattice here grows into trivalent. Thin plates are flexible, the layers of crystalline lattice slide thus, as a graphite and gipseous. In a fresh kind a vivianite is colourless, but due to the second changes begins quickly to acquire blue, bluish (cyan, sky) -green and light-blue sky colouring. Many crystals are mainly transparent. Colors in the unchanged kind - light tints and even colourless, at oxidization on air - greyish-dark blue, greyish-green, dark blue to black-blue (kertschenite - on a photo). 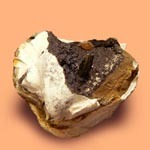 A vivianite can be formed as second mineral in the roof of many sulfide deposits, and also at the second changes of orthomonophosphates of pegmatites. It appears, in addition, in the clay deposits of fresh lakes as a result of co-operation of the water enriched iron with phosphoprous-containing organic material. A vivianite is also set in the beds of lignite and basic sediments iron-stones of freshwater pools. 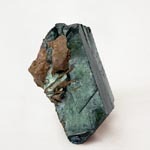 A vivianite appears in areas, near to the surface, under influence of oxygen of air. 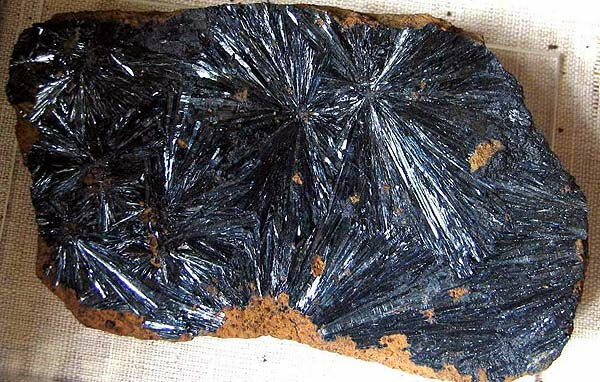 Circulatory rich in phosphates waters influence on mineral, which contain iron (mainly, bivalent), such, as a Pyrite, siderite, fayalite, Pyrrotine, and wash part of iron, When water evaporates, a vivianite is crystallized. In pegmatites the phosphates of iron can grow into a vivianite, absorbing water. 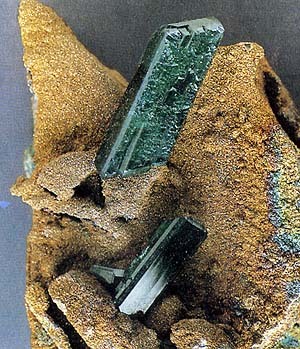 Such very beautiful crystals appeared a way, in particular in Kornuolle (England); very large (to 15 sm) rifle-green standards are in Bolivia, mineries of the state of Colorado and many other places of the USA; exceptional beauty crystals take a place from Sonth Serbia, East Bavaria (Germany, EU) and Peru. As the thinnest dust of mineral widely widespread in clay siltages. Impressive crystals long more than 1 mm take a place from the clay quarries of Kamerune. The largest in the world crystals (maximal size about 130 sm), either single or incorporated in radiant Druses, are obtained in lacustrine clays of Anlua near Ngaundere in Kamerune. Beautiful transparent crystals are met on the deposits of Lyalyagua in Bolivia, Bingem in the state of Quarter-deck and state of Idaho. 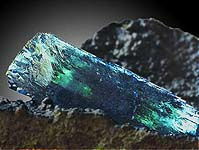 A vivianite is presented by large interest for collecting. It can be used also (if forms large accumulations) for making of paints. Originally mineral named dark blue by ferrous earth, but in 1817 A.G. Werner gave a mineral the name in honour the English mineralogist D.G. Vivian. Used as inexpensive dye; it is of interest for collectors. Vivianite kertschenite. Kerch mine, Crimea, Ukraine, CIS. A photo: © A.A. Evseev.